Under13 EJA Cup Run Goes On! Now through to semi final of EJA League Cup and semi final of Essex County Cup as well as top of the league and currently unbeaten. 14/1/18 U13 Essex County Cup 1/4 Final. 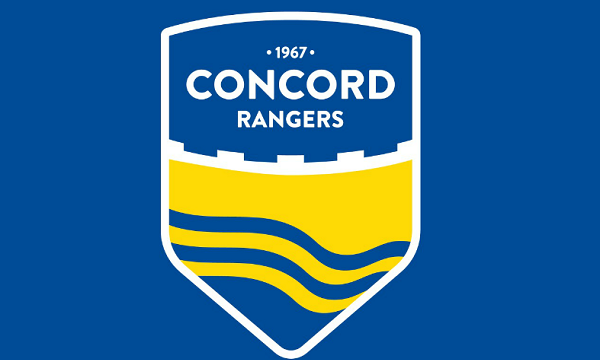 Witham Town 0-1 Concord Rangers Gritty, resilient, determined are 3 words we’ve used a lot this season to describe Concord Rangers U13s and today they had all 3 in abundance. On paper a really hard away trip to a Witham Town side who are going well in their own Alliance league and it became a really closely contested cup tie. After an edgy start in which Witham looked to ask us questions by going direct the decisive goal came out of the blue when Lucas Polyblank took a good 1st touch 20 yards out and rifled a looping effort high over the keeper and into the roof of the net. The goal settled the Concord lads down and for the remainder of the half we played on the front foot and it took a well organised Witham defence to keep the game at 0-1. The HT message was to try and keep it tight and look to kill the game off when the chance arose. The 1st 15 minutes of the 2nd half saw us miss numerous chances and hit the woodwork but we weren’t quite able to put game to bed and as a consequence the last part of the game became a real scrap with Witham asking questions of us defensively. Full time seemed to take forever, but an excellent defensive display from the GK and defensive unit saw us over the line for a hard fought, but deserved 0-1 win. The result leaves the group facing both a county cup and EJA Challenge cup semi final in the weeks ahead. Without doubt, the hard graft starts now.